Silambam students perform at the Meenakshi temple, 2005. 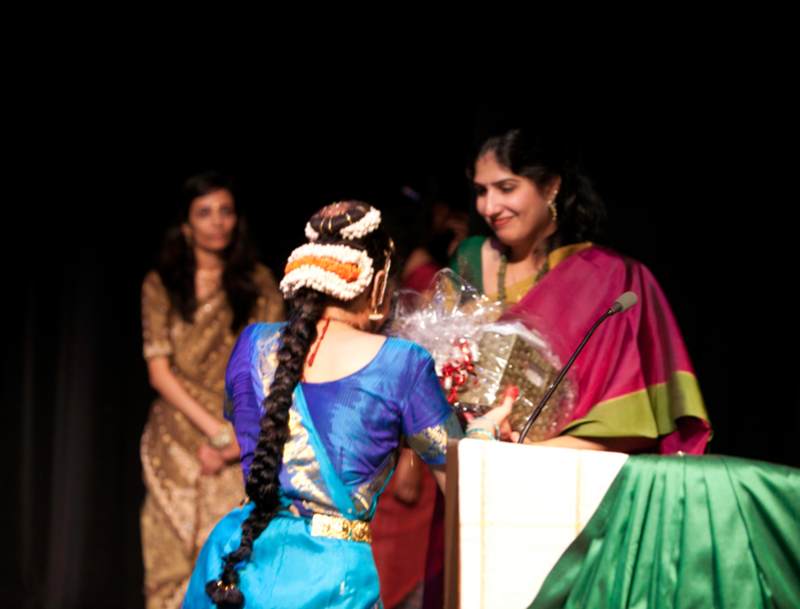 Siddhi Patel, Silambam’s first Ranga Pravesham student, presents her Guru with a token of appreciation at her debut performance in 2011. You can also find Siddhi (now Siddhi Aryan) on our ‘Supporters’ page, listed under ‘Gold Donors’, in recognition of her extraordinary contirbution of architectural design services to Silambam. Students and faculty at the first Vijayadasami celebrations of Silambam’s Heights location, which opened in 2018 under the stewardship of Artistic Director Anusha Venkatramani. Silambam Houston began as a yearning. As a new graduate student at UTMB Galveston, Lavanya Rajagopalan deeply felt the absence of Bharatanatyam, the art she had grown up with, back in her hometown of Chennai, India. She performed in events at UTMB, and even travelled around the US to perform at various venues around the country - but still missed the vibrant experience and fulfillment of teaching young children, something she had loved doing for several years in Chennai. When a few Indian families on the island requested her to teach their children, she jumped at the chance to recreate that fulfillment here. 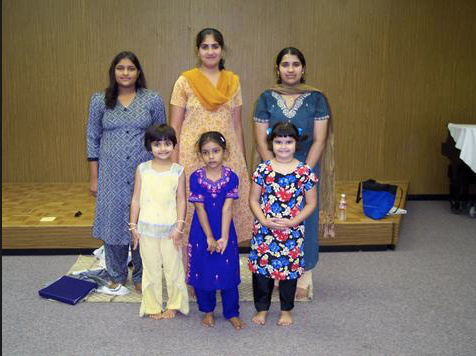 Lavanya began Silambam Houston in 2002 with four students, with classes held in an apartment clubhouse. The name, ‘Silambam’ derives from the Silambakoodam, the space in which dance was taught in olden times, and is the name given to the network of sister schools across the world run by disciples of the legendary danseuse, Padmashree awardee Prof. Sudharani Raghupathy. At Silambam Houston, Lavanya refused to charge tuition, insisting that regularity to class and passion to learn were all the payment she wanted. Seven students performed in Silambam’s first student showcase, on the first anniversary of the fledgling institution. Throughout her graduate studies, Lavanya continued teaching two classes a week, soon moving from the apartment clubhouse to the activity room at the Rosenberg Library in Galveston. After receiving her Ph.D. in Biochemistry, Lavanya moved to Houston in 2005 to pursue post-doctoral training at the Baylor College of Medicine, but continued to drive to Galveston to teach classes. In addition, she also began teaching classes at the Meenakshi temple in Pearland, and Krithika Mohankumar joined the faculty in 2006. The next few years saw many changes in Lavanya’s career and personal life: she returned to UTMB as a faculty member, received NIH funding for her research, got married, and started a family, necessitating a consolidation of the Galveston and Pearland classes into just one location in Pearland. In 2007, Silambam was formally incorporated as a corporation in Texas, and received tax-exempt certification from the IRS. More program expansion followed: Silambam’s unique summer intensive, RASA, began in 2013; this was also the year in which Lavanya gave up her research career to focus primarily on dance, with a side of science writing. 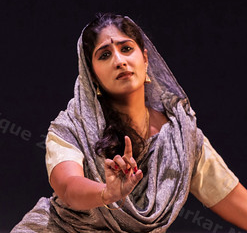 Anusha Venkatramani (another disciple of Prof. Sudharani Raghupathy, whom Lavanya had taught as a student instructor back in Chennai) and Raji Natarajan joined the faculty in 2014, and the Silambam Houston Dance Company came into existence later that year, presenting their first original production in 2015. The organization added the Kathak program in 2016 and Kuchipudi in 2018. The year 2018 proved to be a milestone year in Silambam’s journey, with the inaugural YUVA Festival, our Dance Company’s first appearance on the iconic stage of Miller Outdoor Theater, the addition of Silambam to the roster of Young Audiences of Houston, the inauguration of our new Heights location under the stewardship of Anusha Venkatramani, and the serious pursuit of a capital campaign towards a Silambam facility. Today, Silambam is a sought-after institute of arts education and performance in the Greater Houston area. We have been part of the Houston Arts Alliance’s Capacity Building Initiative for several years, funded by both HAA and the Texas Commission on the Arts, part of the Mid-America Arts Alliance’s ENGAGE program, a member and regular grantee of Dance Source Houston, regularly conduct K-12 outreach events through Young Audiences of Houston, regularly perform at the Children’s Museum of Houston, Houston-area libraries, and a host of other community venues, and conduct a suite of artistic programs that are all designed to achieve the artistic vision of the organization. The organization has a diverse and highly skilled Board, seven talented faculty and staff, two locations, arts programs in several Indian classical arts disciplines, and about 150 students, and is on its way to building a facility to house its programs. Quite a journey, from one teacher with a burning passion, and four students, in an apartment clubhouse! This apartment clubhouse hosted Silambam’s first year of classes. See banner image above for a view of the outside! 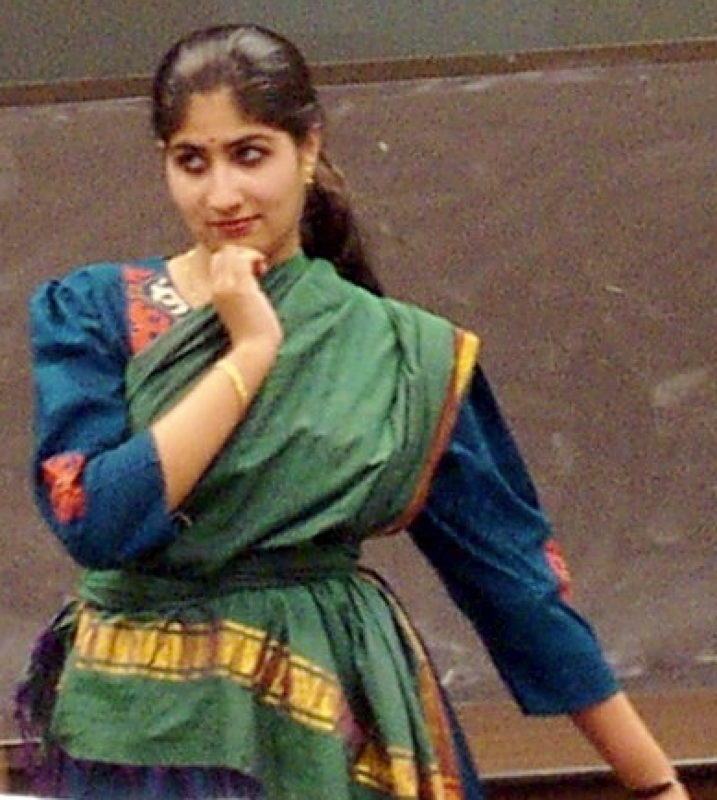 Lavanya performs at Carnegie Mellon University, Pittsburgh, in 2002. Some of Silambam’s first students. Lavanya addresses a parent-teacher open house in October 2007, a few days before the birth of her first child. Students with their Guru at Silambam’s 10th anniversary celebrations in 2012.